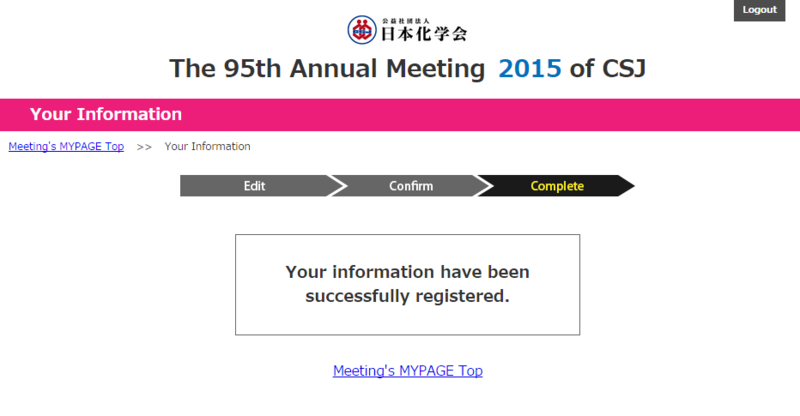 The 99th CSJ Annual Meeting (2019) | Editing method for your information. CSJ >> Anuual Meeting >> 99th Annual Meeting (2019) >> Editing method for your information. Editing method for your information. Follow the procedure below to edit your name or address, or if you want to change your password. Jump to "Edit Your Information" by clicking "Edit" at "Your Information" in Meeting's MYPAGE Top. 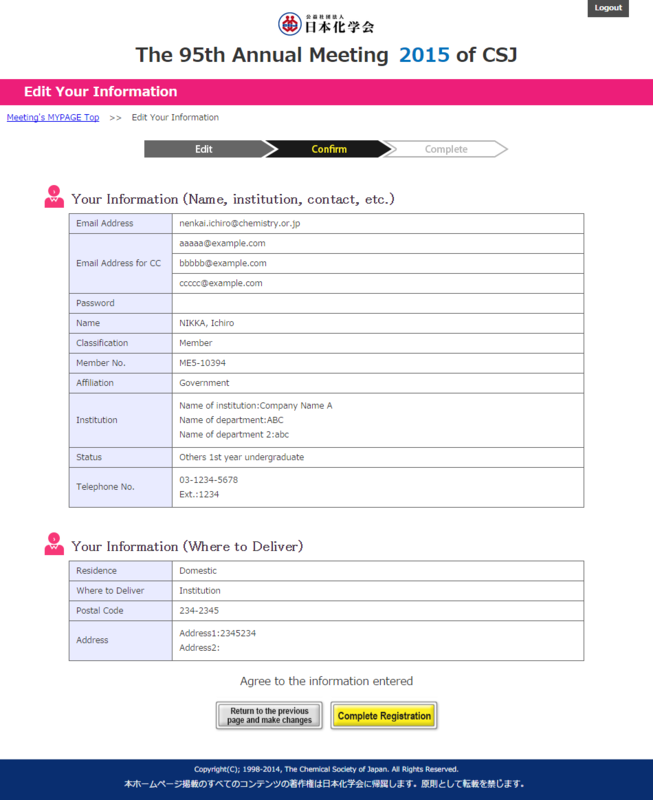 Click "Confirm Information Entered" after you have edited the information you need to change. Enter the password only if you need to change them. Click here to check how to change the password. If you have chosen your office as your address for documents, DO NOT enter the contracted name. Click here for more information. Click "Complete Registration" after you have confirmed the information you have entered. Your information have been successfully registered. A form will appear by clicking "Change the Password." Click "Confirm" after you have entered your current password and new password. 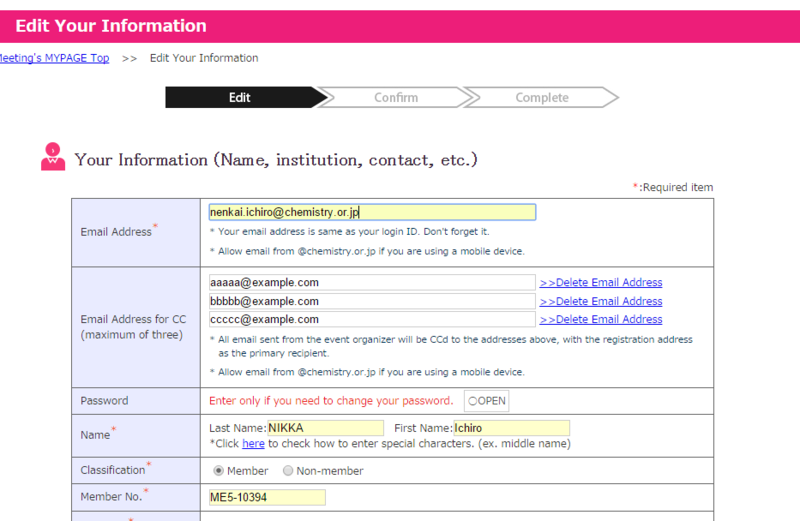 Confirm the information and click "Complete Registration. " 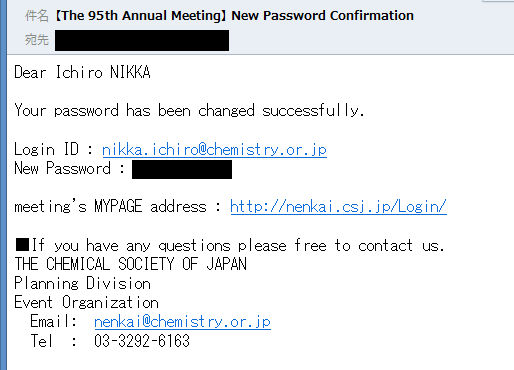 You will receive an e-mail titled "New Password Confirmation." Program and attendance certificate will be sent to the address. Cautions are as follows. 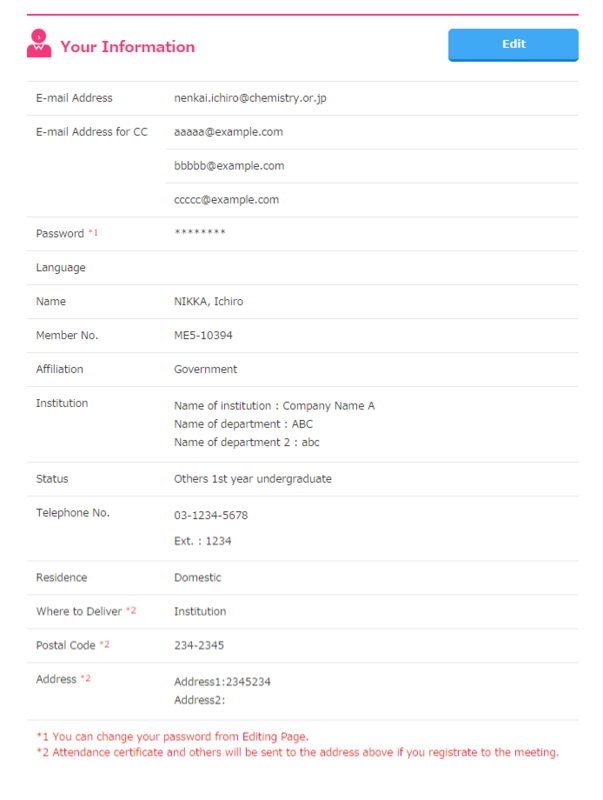 A) Students who have chosen "Institution" for their address for documents, don't forget to write the laboratory name. If there is a Delivery box, don't forget to write the box No. also. B) If you are moving until then, set the address is used for correspondence.